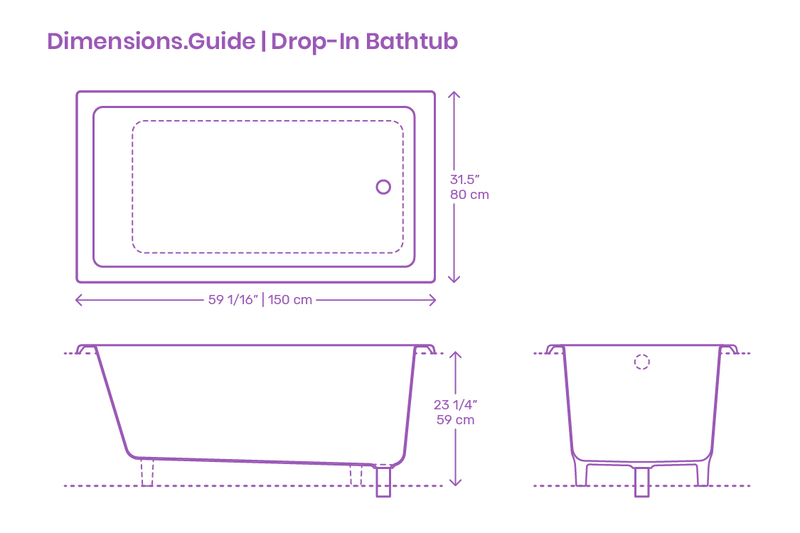 Drop-in bathtubs are fixtures designed to be lowered into pre-built bathroom platforms and are constructed with a finished top edge that can be sealed to the platform. Because no sides of the bath will be visible after being placed into the platform enclosure, drop-in bathtubs are built without any finished sides and are often cost efficient because of this. Drop-in baths are highly adaptable to difficult layout demands, locations, and decor styles and offer their own variety of shapes, sizes, and finishes.